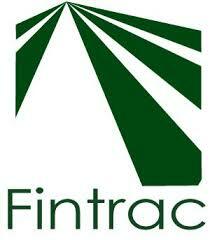 Fintrac Inc. is implementing a horticulture development project, Mboga na Matunda, under USAID’s Feed The Future Initiative. The objective of the activity is to support the Government of Tanzania to increase the competitiveness and inclusiveness of the horticulture subsector, while improving the nutritional status of Tanzanians. Among other things, the activity addresses farmers productivity issues by facilitating access to and adoption of improved technologies, by improving market access and by enhancing industry capacity. Fintrac has sub-contracted the Tanzanian Horticultural Association (TAHA) to carry out business-enabling activities through their policy and advocacy work. 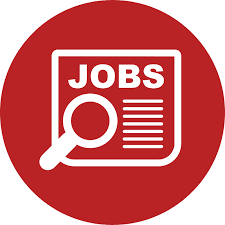 As part of the sub-contract, Feed the Future Tanzania Mboga na Matunda (FTFT-MNM) is hiring the Industry Analyst, to assist in implementation of business enabling activities and will be based in Morogoro. The Industry Analyst will be responsible for the collection, analysis, management and dissemination of industry data in the regions to which he/she will be assigned. The work will be guided by the following ToRs. Collect and document key industry data such as production, farmer input costs, farm-gate prices (and price differentials), transport costs, local tariffs/fees, supply projections, and areas under production of different crops in key supply catchments in the FTFT-MNM areas of implementation. Identify opportunities, challenges or significant developments in the horticulture sub-sector. Collect data and information to define the scale and characteristics of these matters. Conduct preliminary analysis on the data collected. Ensure that the data is shared with all relevant parties, in particular the Policy Advisor and the TAHA Policy Unit. Assist in the transfer of relevant data to the TAHA Information System. Ensure that the data and information is safely stored and archived. Identify key issues contributing to farmers marketing challenges and draw strategies on how they can be addressed. Analyze and document the various horticultural marketing models and prepare and implement plans to improve market efficiencies among horticultural farmers. Develop production and distribution maps, to show production sources and the key market destinations. Hence, linking production and demand for the horticultural commodities and guide farmers to make rational decisions. Identify and analyze key market opportunities and work with TAHA’s and FTFT-MNM’s marketing teams to position farmers to take advantages of the opportunities. In liaison with TAHA and the FTFT-MNM marketing teams, help facilitate farmers-buyers forums. Ensure timely preparation and submission of high quality, data-driven progress reports. The Industry Analysts shall report to the Policy Advisor (TAHA) and where appropriate, the TAHA Marketing Manager. The analysts will implement any other activities that may be assigned to them by the Policy Advisor and will maintain a direct line with the FTFT-MNM regional technical management team for strategic guidance. A minimum of 5 years working experience in field data collection and analysis. Experience in agricultural marketing is strongly preferred.